Clark Kent (Henry Cavill) discovers his superpowers and the murderer of his birth father (Russel Crowe) wants to destroy humanity to create a second Krypton on Earth. This reboot by „300“ director Zach Snyder is redundant of tiring action and shaky pictures. After many centuries of artificial offspring breeding Jor-El (Russel Crowe) and his wife Lara Lor-Van (Ayelet Zurer) get a baby the natural way. But their planet Krypton is dying, because its resources have been exploited for too long. This is why Jor-El wants to send their son away – to the peopled planet Earth, were his chances for survival are much higher. Then General Zog (Michael Shannon) seizes power, for he believes that the elite leaders have failed, but he can still save Krypton. When Zod's rebellion is quelled, the general and his entourage are being banned. But by then Jor-El, who didn't want to comply to Zod's commands, has already stolen the Codex, which controls the offspring breeding, and send it into space along with his son. On Earth Jor-El's son Kar-El grows up as Clark Kent (Henry Cavill) and son to a farmer couple, who found him at the crash site in Kansas: Martha (Diane Lane) and Jonathan Kent (Kevin Costner). Clark looks exactly like the humans, but has special faculties. Since he has to hide them, he is an outsider. But every now and then his powers attract attention when he tries to save something or someone. The Star Trek and Batman franchises had successful reboots, Spider-Man had several gigs in the last decade and sundry comic adaptations like "X-Men", "Iron-Man", "Thor", "Captain America" and the like made the studios say ka-ching. Therefore it was just a question of time for Superman to get a resurrection as well. But which significance will Superman have besides all the other superheros? And which significance will this restart have in a few years? …but these three create a Frankenstein's monster of a movie: ludicrously distorted by much too much "Transfomers" action and frantic, uninspired banging on Kryptonian bodies of steel. As sickening is the incessantly shaking camera of Amir Mokri, who attracted negative attention with this style 10 years ago with "Bad Boys II" or "Vantage Point". Too much pointless destruction, which is hardly discernable due to the shakiness of the footage, this isn't fun at all, but only exhausting. The first half of the film is still tolerable, for it shows Krypton's doom for the first time as well as Clark's attempts at hiding himself and his powers. Also interesting is the decision to tell Clark's difficult youth in interspersed flashbacks. 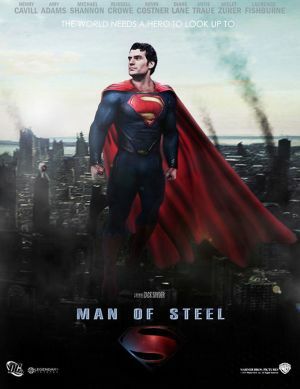 By this "Man of Steel" is already crammed with plot. And since "X-Men" one should know that good sci-fi or comic adaptations should deal with the psyche of the protagonist as well. Goyer and Nolan had payed heed to that for "Batman Returns", but in the second half of "Man of Steel" director Snyder overloads everything with attrition warfare à la Bruckheimer, a war of the worlds. In the beginning Henry Cavill ("Immortals", "The Tudors") as Clark Kent not only looks like an even sexyer Wolverine, but even roams about as a loner, too. The weirder it looks, when he swaps the beard for the red cape. Suddenly Superman seems like from the last century again and not so modern and hip anymore. It is anybody's guess to what extend this Superman even is a paragon. Lois Lane on the other hand has changed pretty considerably. She's not the gullible Miss anymore, but a tough reporter and a strong woman – which the 4-time Oscar nominee Amy Adams ("The Muppets", "The Fighter") can but barely convey. It is very strange how little starks fly between Lois and Clark. They do hold hands once, but otherwise this is hardly a romance. 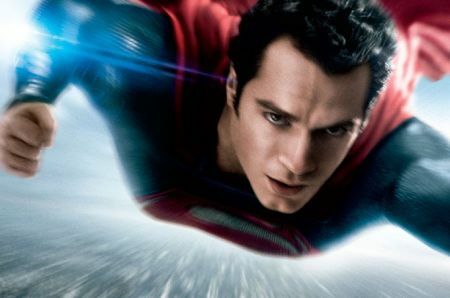 No matter how exhausting, hollow or poor in wonders "Man of Steel" is, those who enjoy the movie anyway can look forward to a sequel, as the filmmakers have announce just a couple of days before the theatrical release of the first new instalment. This movie might satisfy the minimum requirement of a summer blockbuster spectacle, but otherwise this film lags behind expectations.